Tibet: Awakened Heart” is an offering of Tibetan mantras and devotional songs, both ancient and contemporary. Mantras are intent-infused energy-based sounds that produce vibrations in the Universe, vibrations that affect our body, speech and mind in profound ways. Revered as a powerful tool for meditation, mantras can be found in the repertoire of the Tibetan nomads as they pay homage to the protector deities, their families and gurus. 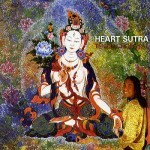 ‘Heart Sutra- often in my dreams’ (2004) is Tenzin’s fourth release, and four years on from the previous CD ‘Big Happiness’ (2000), expands further his connection to the folk songs and music of the nomadic peoples of his homeland and the continuing experiences of his fellow exiled Tibetans across the diaspora. Sold out by day 4, this album was the most sought after memento by festival goers at last year’s Woodford Folk Festival shop. 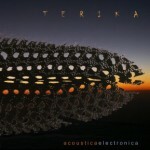 acousticaelectronica is a double album of Tibetan Acoustic and Electronic-influenced music, by Terika, an Australian based world music / jazz fusion trio which combines Tibetan folk, smoky saxophone and mellow cello to create a truly unique toe tapping mystical musical experience. Featuring Tenzin Choegyal in collaboration with River Petein (saxophone, production) and Katherine Philp (cello). Tenzin Choegyal and Jamyang Dolma’s CD “Big Happiness!” was released in 2000 and presents a number of solo tracks by the two artists. Track 4 is a collaboration.